Mediation Practice in the Magistrates' Courts is a practice guide to mediation covering the new Court Annexed Mediation RulesMediation Practice in the Magistrates' Courts provides guidance for attorneys who wish to add mediation practice to their service. 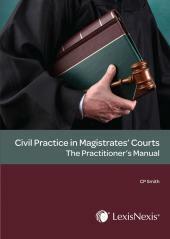 The book also provides guidance for any disputing parties who wish to make use of the Magistrates Court mediation services as the means to resolve their civil disputes. This must have practice guide explains how to prepare for mediation and how to conduct the negotiations when they are at the mediation table. 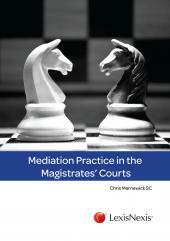 The book also deals with the recent introduction of mediation rules into the South African Magistrate Courts whereby mediation became available as method of dispute resolution. 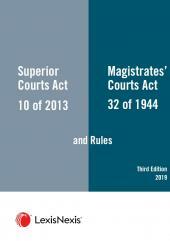 The book includes the relevant Magistrate Court Mediation Rules, Forms and the applicable tariffs. CHAPTER 5 - Should mediation be mandatory in civil cases?